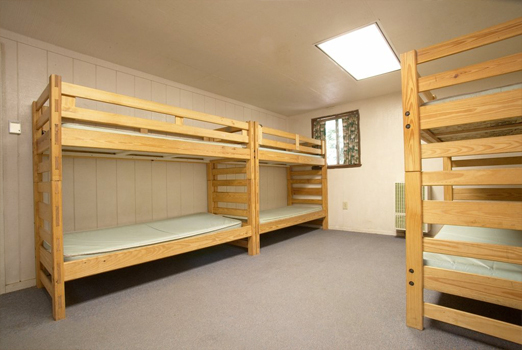 All cabins are divided into two sides with a locking dividing door between—each cabin sleeps 16 people. 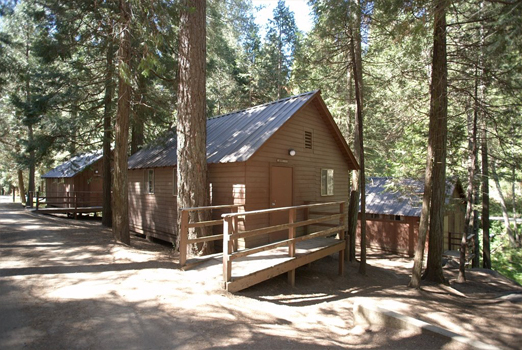 Cabins are arranged around a central restroom/bathhouse (see picture below). 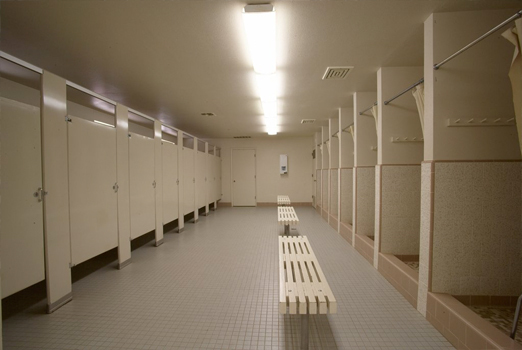 Restroom/bathhouse can be divided into two sides to provide a men's and women's restroom if needed. 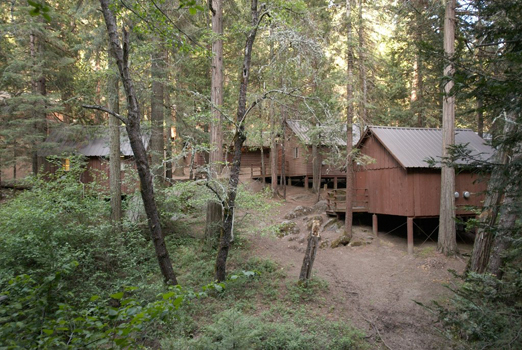 *Big Stump and Hillside cabins are equipped with a half bath (sink and toilet) in each side.